KAMPALA – The State Minister for Internal Affairs, Obiga Kania has told MPs on the Defense and Internal Affairs Committee that Government is planning on starting the issuance of National Identity Cards to prison inmates across the country. Obiga made the remarks while interfacing with the Committee alongside the officials from Uganda Prisons Services who had been summoned to explain their budget performance of Financial Year, 2018/2019. Obiga said that at the moment, NIRA hasn’t completed issuing National IDs and that this isn’t just with prisoners but even people outside but they are still registering those who haven’t been registered. “Arrangements are being made and at appropriate time, modalities will be discussed with the prisons authorities because there are specific regulations of entry and exit and identification of people in prisons. Once those modalities are discussed, those people will be registered,” Obiga said. However some the MPs were not satisfied with government decision to start with Ugandans abroad instead of looking at prisoners who are closer, a decision Obiga defended saying the Ugandans abroad are citizens who are important, blaming delay of implementing the project in prisons on certain technicalities that Government has to deal with before they can start the exercise. 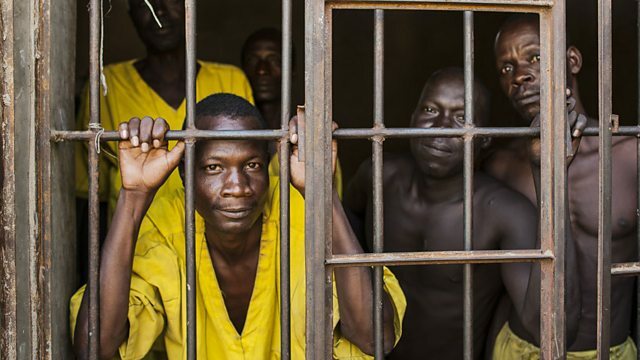 Uganda Prisons Commissioner General, Johnson Byabashaija noted that there are some inmates who already have national identity cards and they need to first decide on how the matter will be dealt with to ensure they are not issued twice.